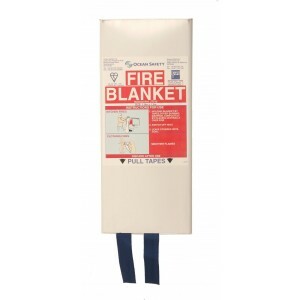 Glass fibre fire blanket for domestic and light industrial use.BSI certified to BS EN 1869:1997 and .. 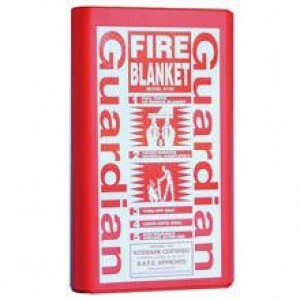 The Guardian fire blanket is manufactured to BSEN 1869: 1997 and Kitemark certified.1 metre x 1 metr.. 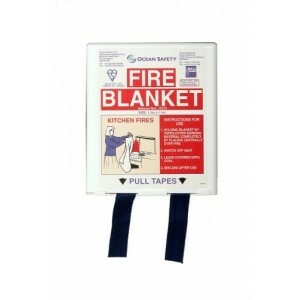 The Ocean Safety fire blankets can be easily installed on any type of vessel. 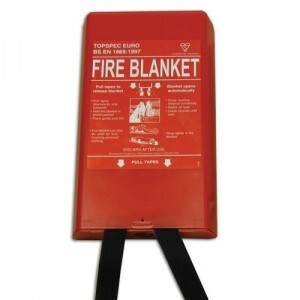 Fire blankets are desi..
Fire Blanket in a compact casing, which provides quick and easy installation on most vessels and is ..